Getting exercise can be difficult these days. 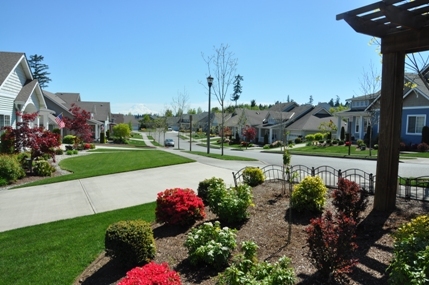 For the residents of DuPont, they have a motto for new residents moving into the city, "leave the treadmill behind". 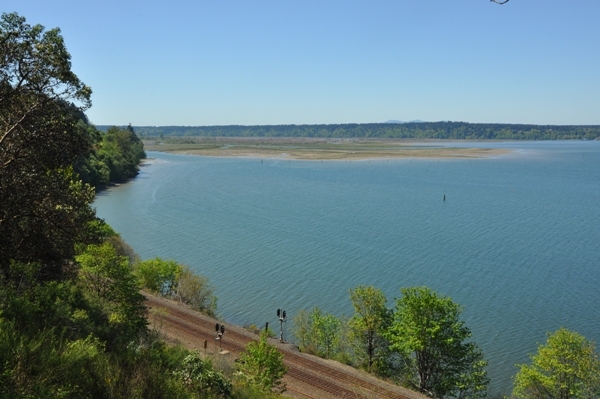 Few other cities in Washington can boast of all the trails offered. 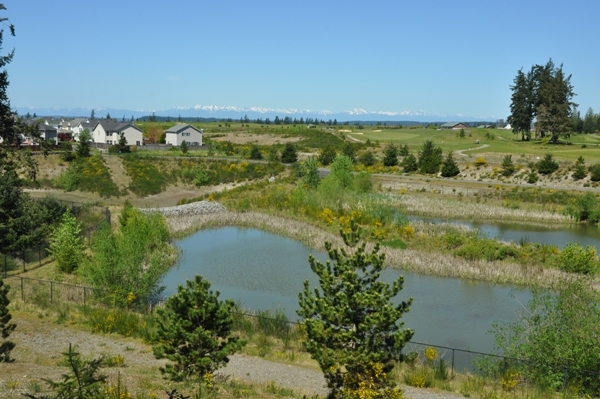 DuPont is a master planned community, so from every neighborhood, multiple loops exist for hiking. Some take just 30 minutes while others could take half the day. 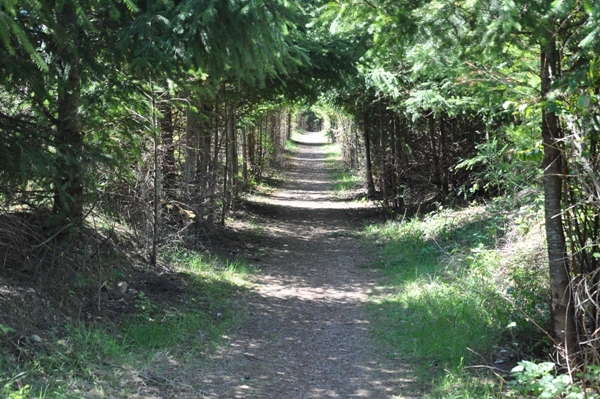 Four trails allow hikers to walk a superb loop trip which includes the famous Sequalitchew Creek Trail. 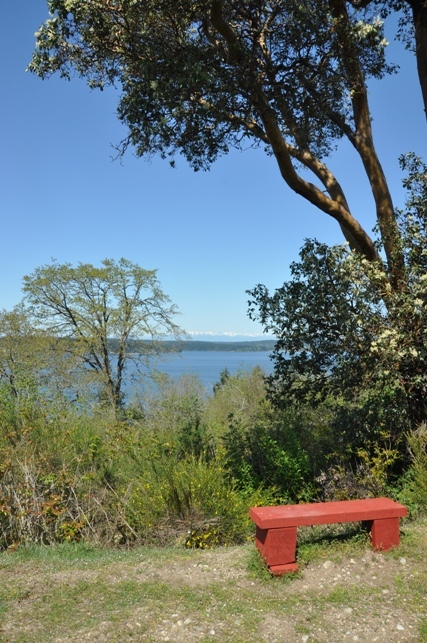 Three of the trails are described here, see the link below for hiking the Sequalitchew Creek Trail. 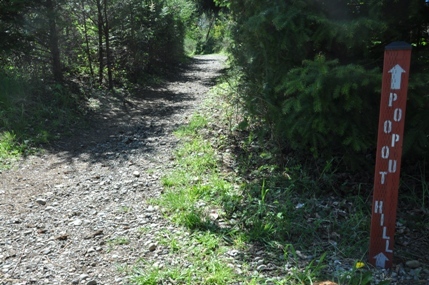 Just before the Estuary in Sequalitchew Creek Canyon, look for a hiking trail that drops down crossing the creek on a small bridge. 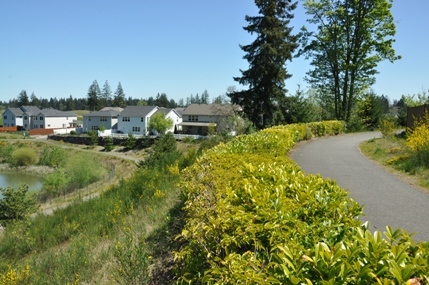 Then the trail switchbacks uphill to the top of the canyon where an expansive view to the Home Course Golf Course can be viewed. 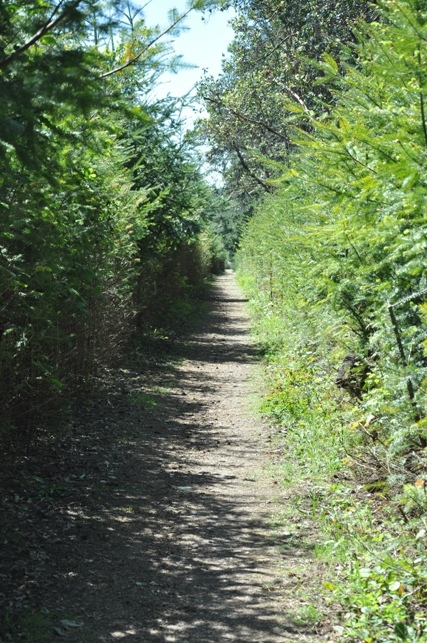 Turn right and look for a trail through an old fence. Quickly, you should find the Wilkes Observatory Monument. 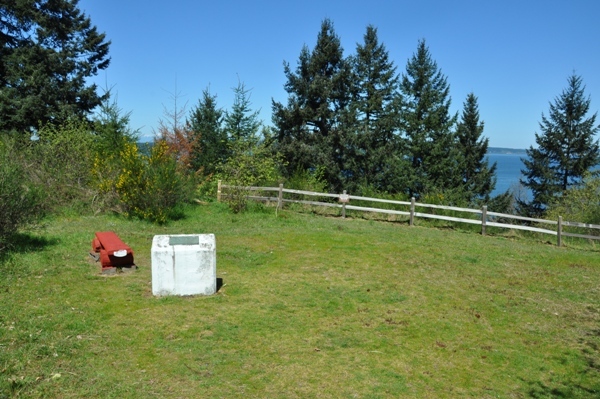 It was here in 1841 an observatory for a major U.S. scientific expedition under Captain Charles Wilkes set up an observatory to chart lower Puget Sound. The designated landmark names are the ones we use today. 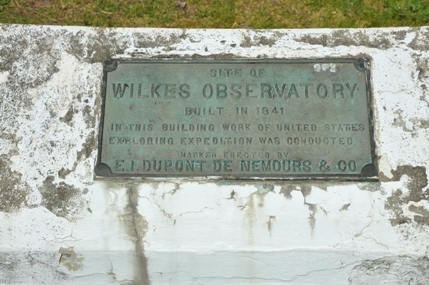 Officially, the Wilkes Observatory Trail ends at the monument and heads south from this point. 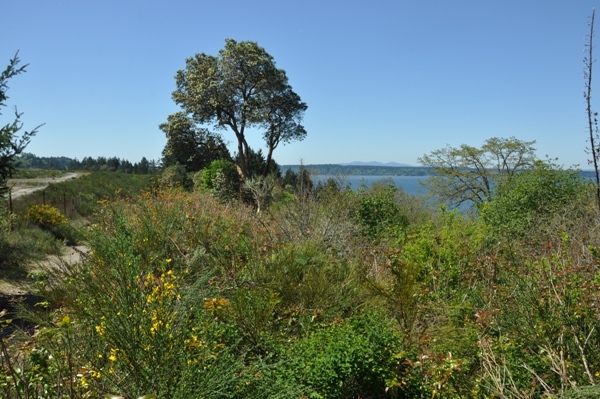 So, follow this trail 1.5 miles as it follows the rim between the Home Course Golf Course and the drop down to Puget Sound. 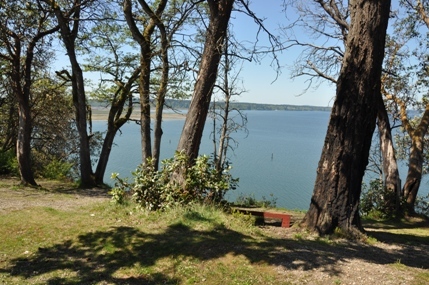 Occasionally there are short trails to viewpoints or even a few that drop down to the beach.. At the far south end, you reach a small uphill called Poopout Hill. 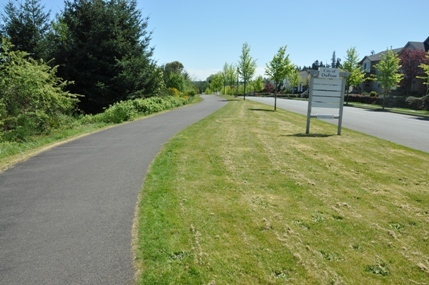 The top of the hill starts to curve away from the water and soon you are at the corner of Ridgeview Drive and McNeil Street where a paved path gets you onto the public sidewalk. In one block is McNeil Street. 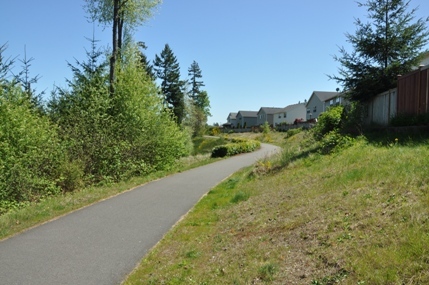 The 1.5 McNeil Street Trail is a wide paved path that weaves around homes in residential areas but always heads in the right direction. 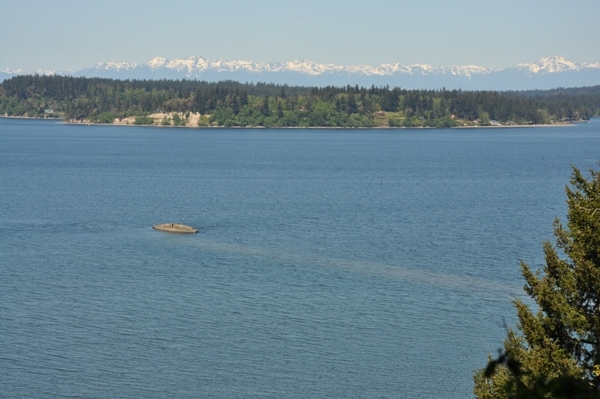 On clear days, the views of the Olympics and Mt. Rainier are perfection. 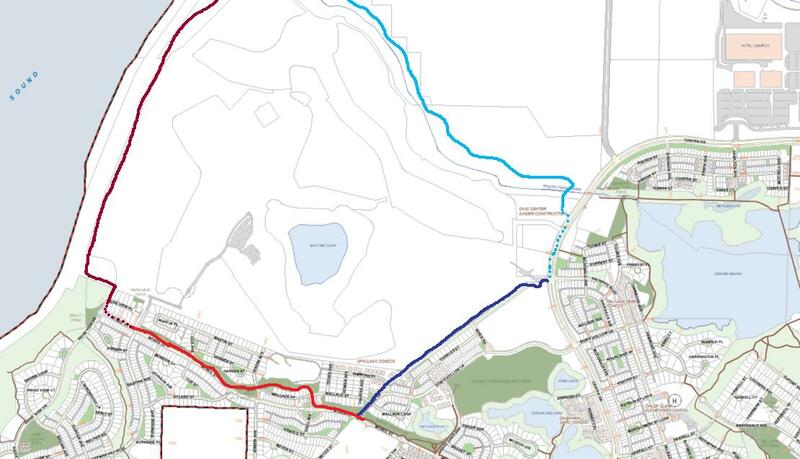 Follow this trail for over a mile of its length until you see the Yehle Village/Palisades Village Connector Trail. 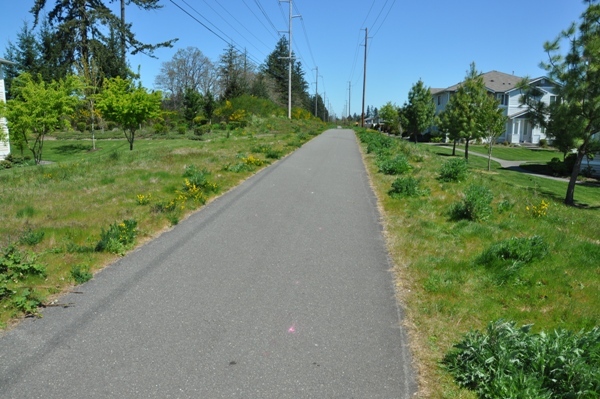 This very straight paved trail is obvious as it passes underneath powerlines for 0.7 miles. 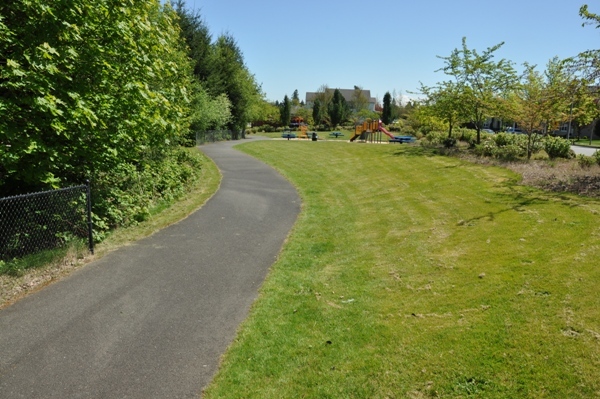 It ends at Center Street, just a block or two from Civic Street where City Hall is located and the start of the Sequalitchew Creek Trail. 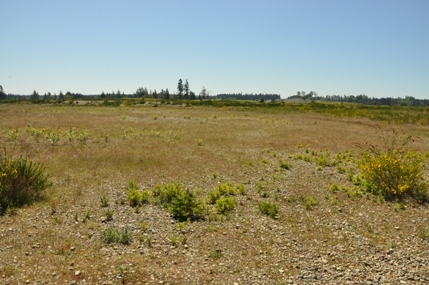 There is a sunken concrete boat out in the water that can be reached at low tide by a sandbar from the beach near Sequalitchew Creek. See the sandbar under the water in this shot.